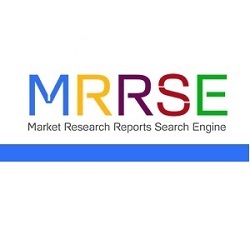 In order to study the various trends and patterns prevailing in the concerned market, Market Research Reports Search Engine (MRRSE) has included a new report titled “Aerospace Data Recorder Market” to its wide online database. This research assessment offers a clear insight about the influential factors that are expected to transform the global market in the near future. The aerospace industry across the globe has been experiencing rapid escalation in air traffic in the past few years. In order to meet the rising air traffic, the airline operator are ordering for more aircrafts, integrated with latest technologies. This trend is expected to grow the market for aerospace data recorder market in the current scenario. The aerospace data recorder are the electronic devices used to record or collect any electronic signals sent to the aircraft as well as the conversation between the pilots’ and the on board crews and air traffic controller. These devices are used by the aircraft accident investigation agencies and the aircraft operators during any aircraft accident or incidents. In the report on aerospace data recorder market, the market is segmented on basis of components, application and geography. The different components of aerospace data recorder included in the report are cockpit voice recorder, flight data recorder, quick access recorder, data loggers. In 2016, the largest market globally was captured by flight data recorders. Owing to the fact that, flight data recorders captures various data from an aircraft, the same are heavily attached to aircrafts. This has led the segment to dominate among the various components of flight recorders. Cockpit voice recorder is estimated to be the fastest growing type segment, expanding at a significant rate during the forecast period from 2017 to 2025. The application segment is bifurcated as commercial and defense sector. Due to the rapid escalation in the commercial aviation worldwide, the commercial segment held the majority of market share in 2016 and the segment is estimated to grow at a significant CAGR from 2017 to 2025. The estimated growth of commercial segment is attributed to the fact that, the global aerospace industry is witnessing huge growth in air traffic. Geographically, the aerospace data recorder market is categorized on basis of five key regions as North America, Europe, Asia Pacific, Middle East and Africa and Latin America. The majority of the market share was contributed by North America in 2016 followed by Europe. Due to extensive research and development being carried out in the North America region in order to manufacture technologically robust flight recorder, the region is leading the market in 2016. Asia Pacific is witnessing huge demand for air traffic especially in the countries such as China, India, Japan and South Korea among others, due to which the region is estimated to be the fastest growing region globally. Across five key regions globally, the top ten participants operating in the market for aerospace data recorder has been profiled in this report. The participants are Honeywell International Inc. (U.S), Teledyne Technologies Incorporated (U.S), AstroNova Inc. (U.S), SLN Technologies (India), FLHYT Aerospace Solutions Ltd. (Canada), Leonardo DRS (U.S), RUAG Group (Switzerland), Curtiss-Wright Defense Solutions (U.S), L-3 Technologies Inc. (U.S), Universal Avionics Systems Corporation (U.S).